How Do You Power Your Happy? 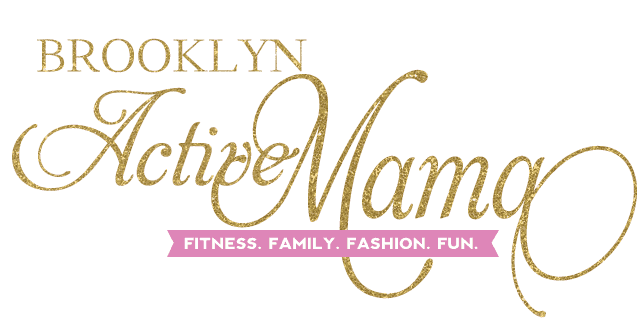 BrooklynActiveMama.com contributor Valerie from MommyRnR.com covered a fun event held in NYC last week and here is her recap. Enjoy! Popsugar founder and Power Your Happy author Lisa Sugar (pictured right) is one of the happiest people I’ve ever met. And when I say happy I don’t mean bouncing off the walls hyped up happy – although she could be I just didn’t see it. I’m talking about more of an air about her that exudes happiness, peacefulness and positivity. We all know someone like this – no matter when we see them they’re always smiling and telling us to not let the negative thing in life keep us down. This is Lisa! When I attended the Power Your Happy event (appropriately named after the for the release of her first book) I discovered that powering your happiness is not only possible but a necessity. If you enjoy doing something and you find yourself continuously surrounded by it and/or pulled in the direction of it, then that could be a sign that you should be doing it. Since I can remember I have always found myself sharing stories and coordinating events, this ultimately lead me down the path blogging and hosting events for moms in my area. Without even realizing it I followed the signs to my happiness. Had I stayed at my previous job stuck in a cube maze doing the same boring job day in and day out I would not be as happy and fulfilled as I am today. This is pretty clear cut. If you love something why shouldn’t you be doing it? Everyday millions of people get up begrudgingly go to a job that they hate. Why? Because they don’t love it. It doesn’t move them. They don’t feel accomplished. They feel like something is lacking in their lives. It’s why many people take the plunge and start their own businesses. Which is just what Nellie of Brooklyn Active Mama did. She quit her cushy corporate job to strike it out on her own. She wanted to not only have the freedom to be with her children more, she also wanted to do what she loved. Thus, BAM Digital Media was born. She is the personification of power your happy. Now that you’ve taken the leap and you’re out doing your own thing it’s important to only do the projects that you believe in. If it something that makes you take a pause and question your morals you should ask yourself if it’s something that you should be doing, regardless of the dollar sign that’s attached to it. In order to fully power your happy you should be doing things that make you feel great on the inside. That at the end of the day make you proud that you had a hand in creating that project. Most of the time we only hear the success stories of businesses that went out on their own but what we don’t hear are the struggles that happen behind the scenes. Struggles to find their niche, voice and audience. Sometimes things we see working in our head don’t always translate well to the audience/customer, and it’s these times that make us want to pack up and call it quits, when in fact you should keep going and work harder. Get out of your shell and keep pressing on til your idea is realized and goes from notes on a paper to reality. Like myself, Lisa is big on karma. Her personal and business mantra is simple, “Work hard play nice.” She is big on playing nice. This is a huge proponent in order to power your happiness. Having respect for others (those who work for you and around around you) and being polite. This is also known as – karma. Remember it, and it will put you on the fast track to power your happy as you’ll be receiving much happiness and then some so long as you’re putting out good vibes, well wishes and kindness towards others. And if that wasn’t enough, in addition to Lisa there was a wonderful Power Your Happy panel discussion. It was moderated by Lilliana Vazquez from the TODAY Show, and featured Chole Coscarelli who is a Celebrity Chef and founder of, By Chole, Deborah Llyod who is President & Chief Creative Officer of Kate Spade and Jessie Randall Creative Director & Co-Founder of Loeffler Randall. What advice do you have for those who are interested in stepping out on their own? Jessie – Think about what makes you different. That’s what makes you interesting. What’s your point of view? It’s not interesting to look at the same things all the time. Be unique! Chole – Never give up. It’s an old cliche but it works. If something seems impossible it can be your cue to keep going where others would stop. Deborah – Do what you love. The people who are successful are that way because they combine their business with what they love. How do you trust your gut? Jessie – If you can’t get your idea out of your brain and you can’t stop thinking about it – do it! Chole – Make stuff that you want to consume. Think of yourself as the consumer. Don’t be afraid of the unknown. Deborah – If you love it, you’re passionate about it and it drives you then there instinct will be there. How do you balance your schedule between work and personal life? Jessie – I like the beach and going to the country. I’m a homebody. I also like arts & crafts. The key is to not always be in work mode. Chloe – I focus on the perks I love. Yes, I cook but I also like to cook for fun at least once a week. I’ve also started guitar lessons for me time. Deborah – I prefer to keep the day constantly moving and relax at night and on the weekends. The more I can escape the more I bring back to work. If you loved these tips and would like more tips and tricks you can pick up a copy of Power YOUR Happy which is in stores now. Reason #7867 Why I Love Blogging? Friendship. Sounds like some tried and true great advice on being happy. I also try to stay positive and so all I can to stay and remain happy daily. But do appreciate the further tips here, as well still. I love this! You gotta follow the signs. I love to write and I love to read but I kept straying away from that for years because I thought hmmmm no money but I am always drawn back to it. It’s my peace. That’s awesome – I see that power in peaceful happy, as opposed to boisterous happy. Although maybe there’s a time and a place for both. I do what I love! I can’t deny that. Tamara recently posted…Cookies & Cream Brownies, Oh My! 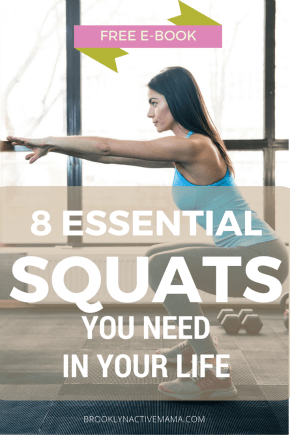 This is a great post with so much information! I have definitely learnt a couple of things.